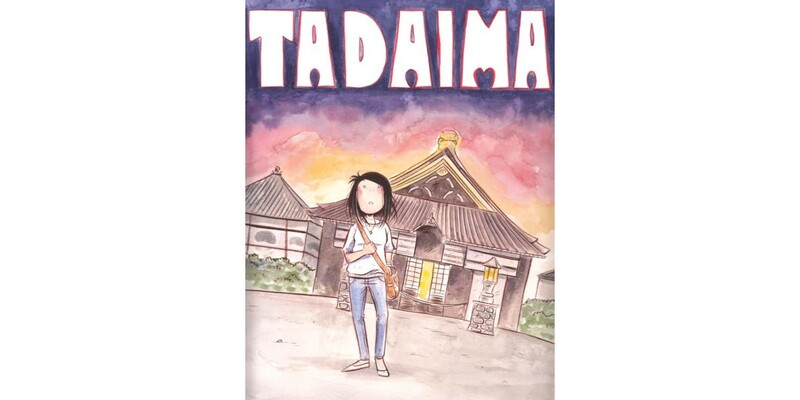 Writer and illustrator Emi Lenox (EMITOWN) takes readers along on her personal journey back to Japan in a touching and in-depth look at Japanese roots and cultural influences in a new graphic novel, TADAIMA. Throughout childhood, Emi visited her Grandmother in Japan frequently. But through the years of high school and after, she hadn’t been back in nearly twelve years. Sadly, within those twelve years, both her Japanese grandparents passed away. TADAIMA is a travelogue documenting a trip back to Japan with her mother for a memorial service to renew the sobota, a wooden grave marker, at her grandparents' tomb in Fukushima. Touching on Japanese spirituality and cultural differences, TADAIMA is more than a book about landmarks and foreign cuisine. It’s about family. "Emi's doing a few different projects with us, but this is one I've been looking forward to since we first discussed it a couple years ago,” added Eric Stephenson, Publisher at Image Comics. “I think it's great to see Emi push herself as an artist, and Tadaima is easily her strongest, most personal work to date. Being able to share fresh new work like this with fellow comics readers is one of the coolest parts of my job!" The series is set to launch from Image Comics in 2015.